When I picked up The Prince by Niccolò Machiavelli I wasn’t expecting it to be so readable. Small books are often notoriously dense and difficult to get through, but no such thing with The Pince. The language is easy to follow with just a few words that needed some explaining from a dictionary, and he repeats his important ideas several times. If you didn’t get it the first time around, you probably will the second time. The book is also very clearly structured, making it easier to follow his train of thought. 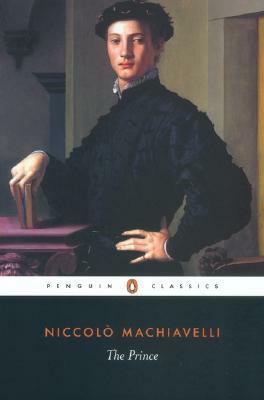 To be honest I don’t know nearly enough of early Mediterranean history to understand all Machiavelli’s examples fully, but that didn’t matter much in the overall picture. Some people see The Prince as a satire, while others think it was a serious book intended as mirrors for princes, a genre of books that are basically meant as guidebooks for princes. I think the truth might be somewhere in between; it’s very well thought out and his ideas probably work, which seems an awful lot of work if you’re only interested in writing a satire. On the other hand it clearly lacks any kind of morality or sense of good and bad, which makes me doubt whether or not Machiavelli was a hundred percent serious. A very interesting little book, The Prince makes you think about all the factors that come in when ruling a country. From armies and reputation, Machiavelli touches upon them all and teaches us how to keep our masses just the right amount of scared.